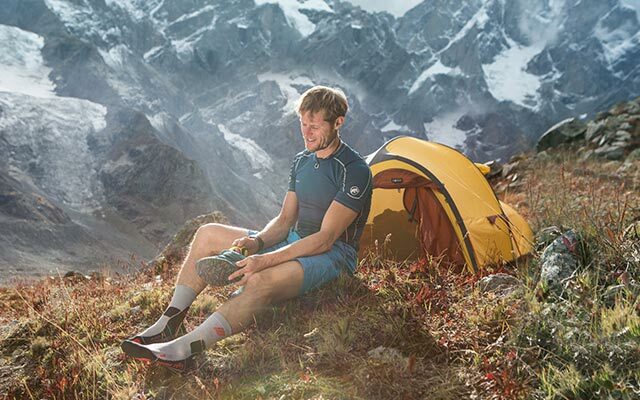 The Achilles Support Socks offer legendary support for enthusiastic runners. They protect you against injuries and provide relief from existing pain and discomfort. The anatomically shaped, highly adaptive SMARTMEMORY FOAM pads protect and take excess pressure off your Achilles tendon for perceivable relief. Integrated pads create a massage effect you can feel. The proven medi compression reduces swelling and gives you light legs while also activating your proprioception for an awesome feeling of stability. Be ready for your next great feats with the CEP Achilles Support Socks for women.